With the Simpsons Series 2 MF slated for release the beginning of next month, has anyone seen them pop-up in stores yet? As we all know, Target and TRU have a pretty good track record in breaking release date rules! Or anyone have the Target DCPI for these? I'm just glad they are out. 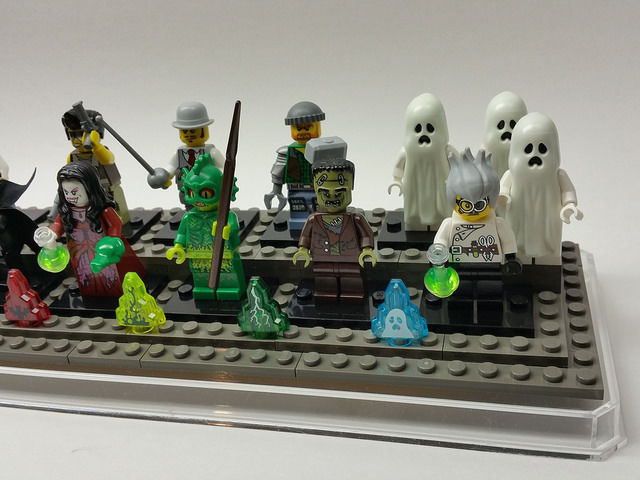 Not because I want them ( I do not), but because it saves me money toward getting the 'monsters' CMF line which should come out in the fall. they are hard locked for 5/1/15 in the pos. Waiting for Minifiguresplus on eBay to post and buy from him. Is Target getting strict with their street dates? A CSR pulled an unopened box from the stockroom and when I went to pay the computer wouldn't allow the item to scan. The store manager tried to do an override but the computer did not give her that option. 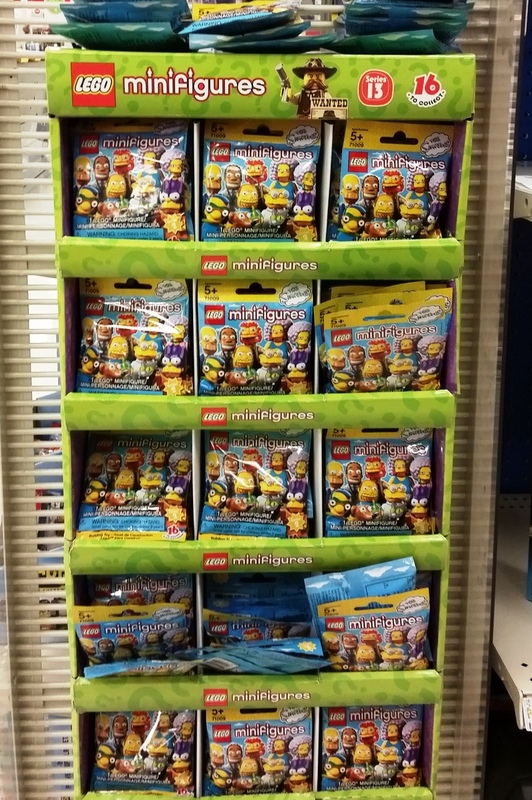 I found what looked like an untouched set of the minifigures yesterday at a Target in Missouri, but when I price checked, they didn't come up. I didn't even bother taking them to the front. I went back today, and they had all been pulled, unless someone bought them all up, which I doubt. @1265 ;The official word for our supply of Simpsons Series 2 is that pre-orders will begin May 1st. Products will ship mid-June. The price point will be $238.49 per box with free domestic shipping. 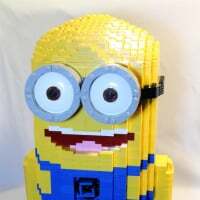 You plan on selling through Bricklink? ^ Think they usually do the box sales through ebay. Does anyone have the upc for these? 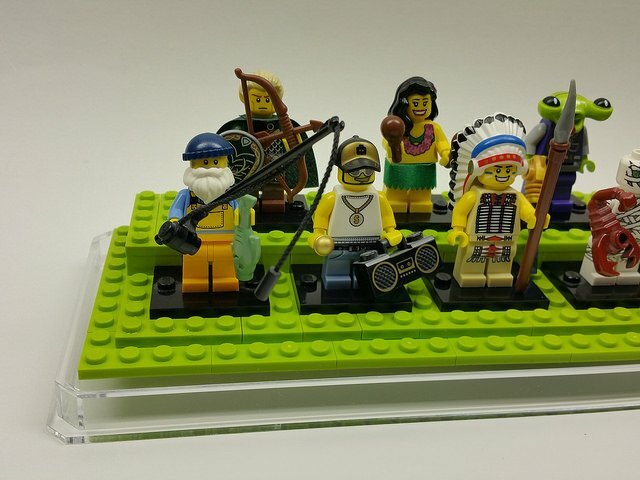 1265 said: You plan on selling through Bricklink? Yes, and our Bricklink prices should reflect the difference in fees between the two sites. I would expect a price around $224 per box. Thanks, but I think that may be an international package which has a different upc than for the US. I was able to get it by using the DPCI at target. 673419231527 for anyone else who cares. I picked up half of the Simpsons set at Meijer last night...$3.99. Surprised these werent like the last Simpsons series, last year Walmart had put them out over a month in advance...not many places doing that with these. Guess I will be hitting Target on Friday. This year, Target has it in their systems that it's street dated, so they're unable to sell it to you even if they wanted to b/c their system won't allow it. Previous series just had a sticker on the box that had a street date. The system lock itself is why it's not being sold earlier like last year. I can imagine Wal Mart and TRU are experiencing the same thing. Found them in Target today (L.A. county, CA) and NOT a day sooner! Checked a local Target. Nada. Wonder if someone bought the whole box...?? Perhaps they just haven't got the time to put it out, why don't you ask if they have it in the stock room? They they won't run out, Target box is not the box of 60 ones, it's the large display that hangs, so it's unlikely that it has run out. Here's the picture of the display, notice that they have re-used the series 13 display. I've seen boxes of 60 at Target lately. I think this is one too, that's why they had to reuse the Series 13 box. Saw them at my target and TRU tonight. One of the Target employees in electronics had a pile of them behind the counter feeling them out. Will wait to buy a full box. In no hurry. Just picked up a half box at TRU. Nice lady at the register had a colleague override for 20% discount. Picked up 5 today at the local department store, and managed to get 2 doubles, not a great start. My box was picked through. I didn't care. It was late. I'll feel through them and swap or return the doubles. Have not been able to find any in my area of south Florida. Have been checking local TRUs, Walmarts and Targets. Customer service does not have a clue about the stock status at the TRU or Target and Walmart just doesn't have a clue. Will keep checking. 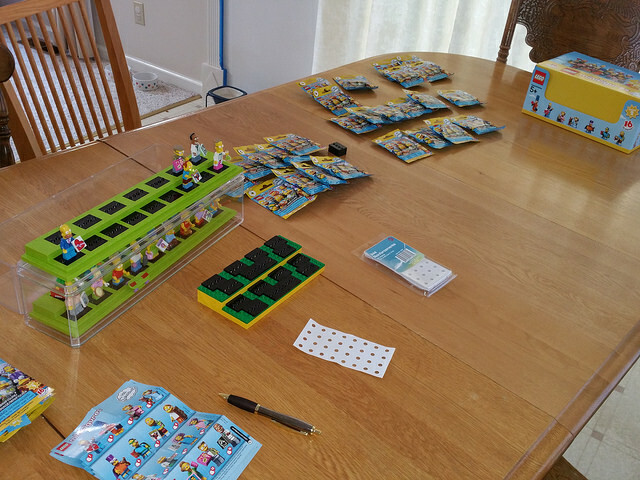 They're available in Schaumburg, IL at the Woodfield Lego Store and the Lego Discovery Center for $4. No Target sightings yet. Found about 90 today at a target, they did not looked like they had been messed with at all. bought a Radom bunch of them and had all but 2. After seeing the paper inside the package they were all pretty easy to feel and identify. But the heads are really a pain in the arse when feeling the packages. So big! Mole man seems to be the toughest find. Off to Target to amuse the staff! ^Where are those display boxes / bases from? Moleman is rather easy, 1x2 tile + short legs, I find Dr Hibbert/Homer the most problematic as we need to fell the head. Mole man has that little rectangle brick, that's how I found him. Yes, identifying him is easy - I think he's just less common in the case. The case is actually for displaying tractor trailer models. I stole the idea from a design I saw on Flickr for CMF displays. Mine are a bit shorter - as I was concerned about some of the taller figures fitting in the case. I'm not sure if you can find another vendor in the UK, but the link below is the manufacturer. 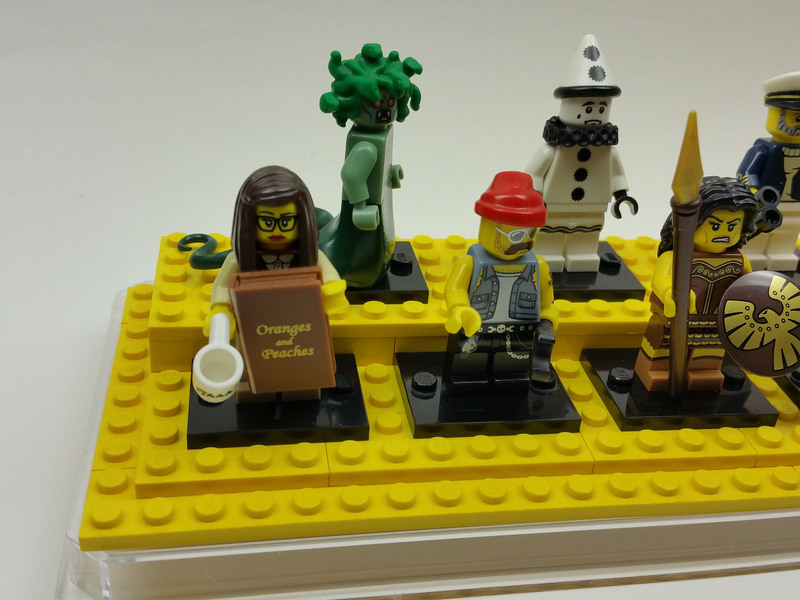 I ended up buying to cartons - so I'm set for the next few minifigure collections. 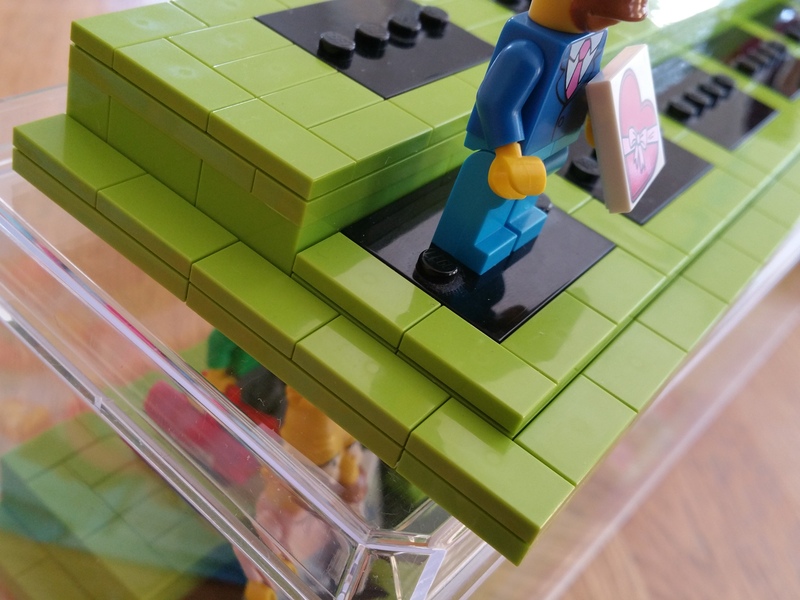 The design for the display is pretty simple - it's tracking down the right mix of plates and bricks to match the color of the CMF bags. If you're not picky, I think black would probably provide the most pop for display. My main concern was dust - as my CMF Series 1 were getting pretty dusty and I was concerned about losing pieces if I ever decided to dust them. The ones for the Simpsons I used the lime green smooth tiles because they were in abundance at the pick-a-brick at my local Lego Store. It gives the display a better finish look. But I wasn't going to try and track those down tiles for the 15 other series. Feel free to PM me if you want more pictures or have any other questions. Nice cases. Have been looking for something different. I use shadowbox, but they are too skinny for figures like Neptune and Medusa. This may be the solution. Medusa had to be turned sideways to accommodate her tail - which is a big part of why I stole that design. There is plenty of room on the top row to fit odd-sized characters. The lower level is low enough to accommodate fishing poles and tall spears. I got some shadowboxes with built in shelves, but I'm finding that bigfigs don't fit. The Avengers look funny without a Hulk. And that 'normal' sized Hulk just looks silly. The toys r us by us had the simpsons 2, was totally surprised. They usualy have nothing. Did anyone do a case breakdown? Just curious to know which figures will be more common. From Series 1, I recall Chief Wiggum, Mr. Burns, Itchy and Scratchy being slightly less common. Target in Glen Burnie, MD, didn't have any out when I went there on Saturday. Thank you! Looks like a pretty even mix. 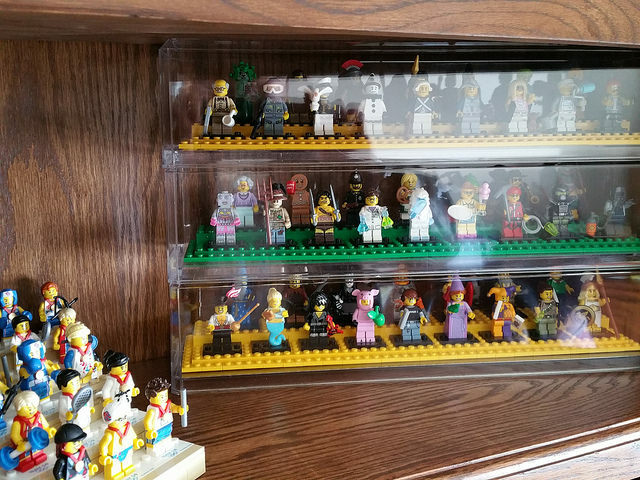 Thank you for sharing the display case ideas! The Glen Burnie North Target? The one by TRU? The Nolpark Court Target in Glen Burnie had maybe half a box left late Saturday afternoon.